Our goal is to connect people with the best local experts. 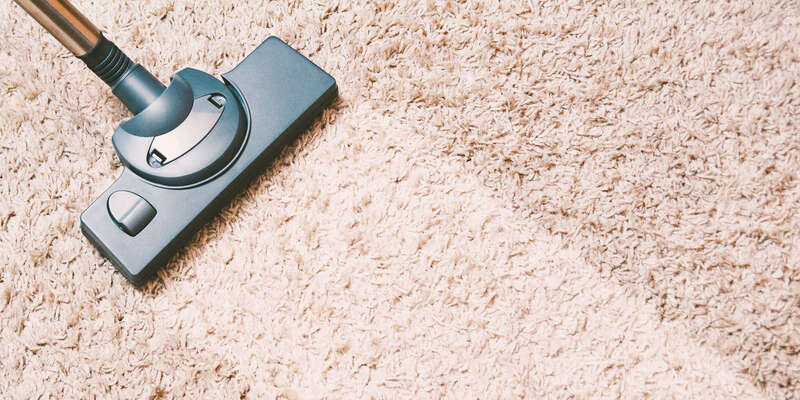 We scored carpet cleaners on more than 25 variables across five categories, and analysed the results to give you a hand-picked list of the best carpet cleaners in Poway, CA. Above & Beyond Carpet Care is a small family-run business that has been providing carpet and upholstery cleaning services to clients in the San Diego community for more than 20 years. The company also offers natural stone, tile and grout cleaning; oriental rug care; mold remediation; odor removal; flood restoration; and more. It also provides a certificate of cleaning to its customers to fulfill their carpet warranty requirements. Above & Beyond Carpet is accredited with the Master Textile Cleaner certification, the highest award from the Institute of Inspection Cleaning and Restoration Certification. The company has an A+ rating with the Better Business Bureau. Blake Carpet Cleaning offers green carpet cleaning services in San Diego, California. Owner and operator Frank Blake opened Blake Carpet Cleaning in 1973 and now runs the business with his son, Travis. They exclusively use natural cleaning solutions that are environmentally friendly and safe for pets and people in both residential and commercial environments. In addition to carpet cleaning, Blake Carpet Cleaning offers upholstery and furniture cleaning, hardwood floor cleaning and recoating, tile and grout cleaning, and a 100% money-back guarantee. Mr. Blake and his son are fully licensed and insured and are committed to environmental preservation, long-term customer relationships, and delivering green carpet cleaning solutions at affordable prices. Discounts are available for scheduling services online. AA Carpet Care has been delivering high-quality carpet cleaning services to the San Diego area for nearly 20 years. Its no-nonsense reasonable rates mean no surprises or hidden fees when customers view the bill. Its truck-mounted steam cleaning system beats the lower-end competitors by preventing stain reoccurrence after a few months. Other services offered include upholstery and area rug cleaning. AA Carpet Care loves what it does, is excellent at it, and is confident that customers who try them will become life-long clients. Customers appreciate their free no-obligation estimates, low prices, and quality of work. And first-time customers get $10 off any carpet cleaning valued at $85 or more. City’s Finest Carpet Care, located in San Diego, California, offers professional carpet cleaning services. They stand behind a complete customer satisfaction guarantee and pride themselves on being the area’s leading provider of cleaning services. Each technician takes great pride in their work and they aim for absolute professionalism, reliability, honesty, integrity, and timeliness on every job. City’s Finest Carpet Care implements advanced drying techniques and clean-water rinse systems that guarantee remarkable and lasting results. Services offered by the experts at City’s Finest Carpet Care include carpet cleaning, upholstery cleaning, rug cleaning, tile and grout cleaning, air duct cleaning, stain and odor removal, dryer vent cleaning, water damage restoration, and flood removal. Prior to performing any work, a technician will thoroughly assess the problem and discuss a detailed resolution to ensure the customer understands and agrees with the course of action. Serving the Southern California city of San Diego, Clean San Diego Carpet Cleaning Services provides services to homes and businesses, which include carpet, rug, and upholstery cleaning, stain and odor removal, tile and grout cleaning, and cleaning for hardwood floors. Highly experienced technicians provide quality carpet care with guaranteed satisfaction. Carpets are deep cleaned to prevent the buildup of allergens, using products that are safe for children and pets. Extra care is taken with area rugs to prevent soft fibers from fading or shrinking. Clean San Diego also specializes in pet odor and stain removal, as well as removal of stains from red wine, tea, coffee, paint, grease, and oil. Higens Carpet & Upholstery Cleaning is a carpet cleaning company in San Diego, California, founded in 1993. Their services include oriental rug cleaning, carpet cleaning, carpet repair, fine fabric and upholstery cleaning, difficult stain removal, spot dying, and more. Higens Carpet & Upholstery Cleaning offers odor control and claims inspections. They are open every day, from 9:00 AM to 6:00 PM. Higens Carpet & Upholstery Cleaning is The Clean Trust certified, and also certified by the Institute of Inspection Cleaning and Restoration Certification. Higens Carpet & Upholstery Cleaning is a Better Business Bureau accredited business that has been honored with an A+ rating. MSC is a San Diego, CA janitorial service that has been cleaning facilities for more than 30 years. A focus on customer satisfaction has certainly contributed to the longevity of this business, making MSC a staple of the San Diego community in the process. MSC depends on the trustworthiness of their employees in order to maintain the highest level of service. They offer office cleaning, porter services, carpet cleaning, floor cleaning, maintenance, and more. Laboratories, schools, restaurants, apartment complexes, and retail centers have all enjoyed the benefits of working with MSC. From Oceanside to San Ysidro, MSC is proud to serve the entirety of the San Diego area. PQ Carpet Cleaning is a licensed and insured provider of high-quality floor fabric care in San Diego that has been around for more than a decade. The establishment operates 24/7 to respond to emergencies promptly, and its goal is to keep residential and commercial spaces pleasant, safe, and comfortable through carpets, rugs, and upholstery that are free of unsightly spots, unpleasant odors, and unhealthy particles. PQ Carpet Cleaning guarantees the work of the experienced, background-checked, and fully equipped crew, and it always respects the site and its occupants. The shop offers honest, reliable, and reasonable pricing that has “no gimmicks or hidden fees,” and it honors senior citizens and members of the United States military with generous discounts. The company website features the latest deals. We Care is one of the foremost carpet and upholstery cleaning contractors in Ramona. The company has been serving San Diego County and the neighboring communities for more than 25 years, and it is a family-owned and operated enterprise that aims for “the highest quality of craftsmanship” at reasonable prices. The company continues to grow through word-of-mouth endorsements and repeat business, and it is a recipient of several community honors, as well as stellar ratings on independent online review platforms. The establishment welcomes residential and commercial projects of any scope, and some of the tasks are eliminating stains from area rugs, applying protective coating to the fibers, and restoring tile and grout. We Care also restores the fabrics in auto and recreational vehicle interiors. San Diego Carpet Repair & Cleaning takes care of pet damage, carpet stretching, carpet cleaning, seam repair, berber repair, and water damage repair. Their core values are providing honest, knowledgeable, and professional maintenance, with technicians who offer the best service as per IICRC standards. Past clients appreciate their repair work when they were ready to throw out the carpet, and their reasonable prices. Customers who contact them over the phone will receive a free estimate, and their website provides before and after photos of their work. San Diego Carpet Repair & Cleaning accepts Mastercard, Visa, Discover Network, and American Express.